We have come a long way in Ontario from the idea that eLearning required a “learning management system” to deliver content, to the understanding that building relationships is at the centre of all learning (f2f or at a distance). As we work with eLearning teachers through their collaborative inquiries into best practice, I often wonder about how best to “spread” some of the great online pedagogy I see around the province. 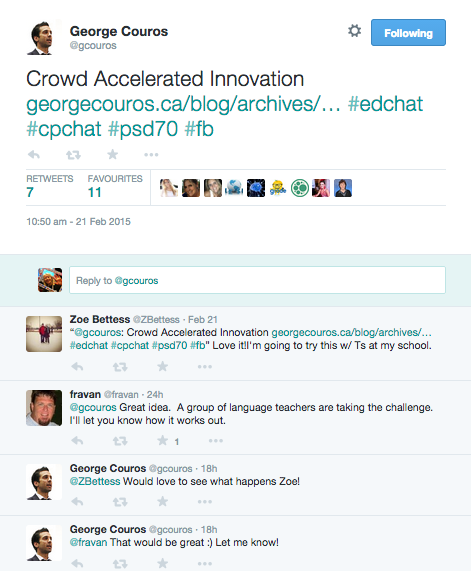 It’s a quick post, an idea that came out of some work with #GEDSBLead, and a great catalyst for sharing, connecting and elevating online learning. So what if we change this a bit? 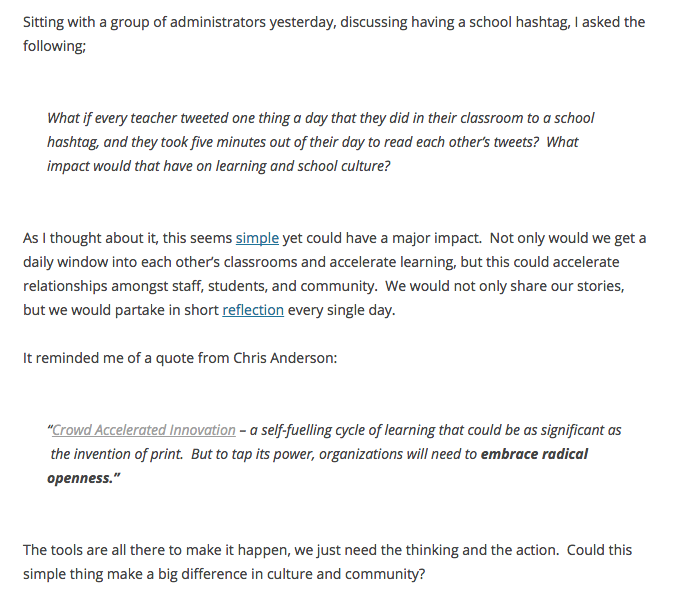 What if every eLearning teacher tweeted one thing they did each day in their online “classroom” to the hashtag #eLonted – and then took 5 minutes to read each others’ tweets? We know that connecting online educators works. We know that networking online educators is essential. We know that eLearning teachers want to share their practice. This could help us do all three.